Car accidents can be frightening, as they may pose major physical dangers to drivers and passengers involved, as well as demand specific attention to dealing with the situation. When drivers experience accidents, they must properly report what occurred to guarantee that the incidents are handled well and accurately. From the moment of impact to the act of filling out the report, motorists should be aware of the process of reporting an accident to better handle the stressful situation. Although drivers may be anxious following accidents, knowing how to address them can allow drivers to calm down and ensure they receive all essential information. The team at CarRegistrationAdvisors.org explains the steps motorists need to take to report an accident. 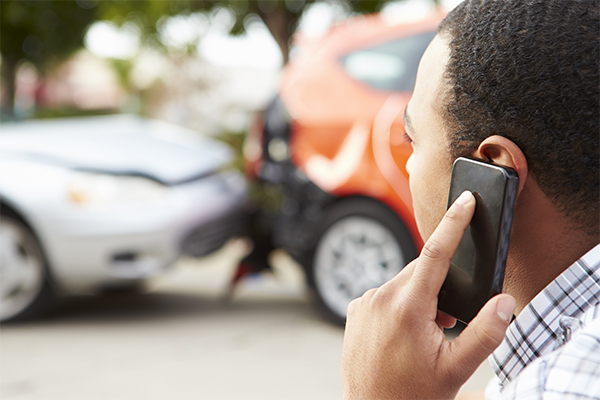 Exchanging information is a vital first step following car accidents. Immediately after the accident occurs, drivers should pull off the road and talk to the driver of the other vehicle(s) involved. Drivers must share their insurance information and assess any damages their vehicles and passengers sustained. The team at CarRegistrationAdvisors.org encourages motorists to write down all necessary information such as names, phone numbers and insurance details. The team at CarRegistrationAdvisors.org also recommends that drivers take pictures of the damages and accident scene and remain calm. No one should move injured passengers unless they are in a dangerous position. As the drivers discuss damages and insurance information, they should call the local police in order to file an official report. The police will ask for pertinent details and determine which next steps to take, like collecting witness statements or instilling order if drivers cannot reach a compromise. However, the team at CarRegistrationAdvisors.org reminds drivers that the police might not need to be called if the accident was minor, if there are no injuries and if the insurance company for the driver at fault issues a claim. Additionally, drivers are urged to make written notes of the officers’ information and be cooperative when filling out reports and answering questions. Drivers should ask police officers for any additional forms they will need to fill out. If no police officers were involved, then drivers should ask their insurance companies what forms need to be completed to properly report the accident. Drivers should ask to receive copies of their accident reports. The group at CarRegistrationAdvisors.org advises motorists to request and complete the appropriate form for obtaining copies of a car accident report from the police or motor vehicle department. It should be noted that requesting accident report forms may require applicants to pay a fee. Drivers should allow the allotted number of days from the day of the accident for local law enforcement to process the incident. Additionally, most accident information remains in the vehicular accident database for several years, depending on where the event took place.